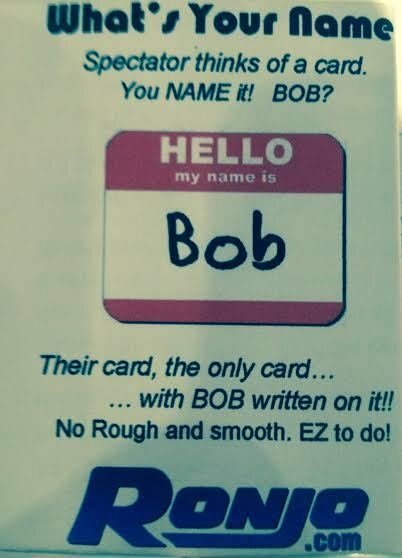 Hello, My Name Is Bob!You name their card before they tell you what it is! 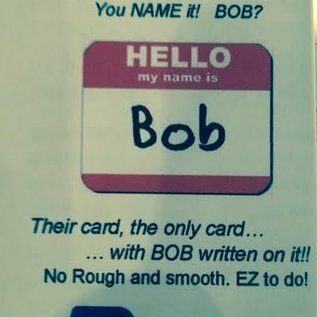 You name it BOB! All the cards are shown to have different names, except for the chosen card! A thought of card is named by the magician. But the magician gives the card a person's name! That really doesn't make any sense. The spectator tells everyone the actual name of the card. Let's say the Seven of Hearts. The magician spreads through all the cards face up and pulls out the Seven of Hearts. He then shows that the back of all the cards have different names. Linda, Greg, Ryan, Ellen and so one. As you show both sides of the cards, "You didn't pick Lucy, the Queen of Spades. You didn't think of Clyde the Nine of Diamonds", etc. "You DID think of the Seven of Hearts. You thought of BOB." 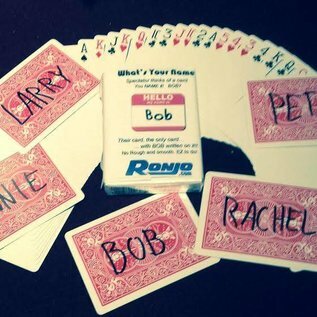 Finally the selected card is turned over, written on the back in big bold letters BOB! The only Bob in the deck. Completely self-working. No Rough And Smooth. 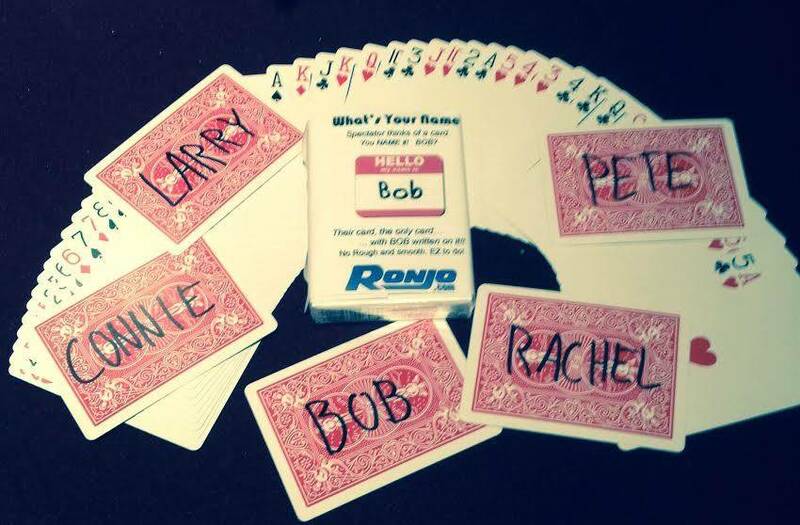 Names are in black permanent marker on Red or Blue (no color option) Bicycle Poker Cards.